We exclusively sell 100% electric vehicles and have the knowledge to help you transition to a smarter, cleaner and more cost-effective form of transport. At Drive EV we import vehicles from both the United Kingdom and Japan offering the latest in technology from around the world. Ask us about our buy to order programme offering electric cars to suit every budget, giving you the best price and the exact electric vehicle you desire without compromise. We offer the highest standard of customer service and are here to help you get the most from your new electric vehicle. At Drive EV we are passionate about Electric Vehicles! We drive them, we sell them, we lover them! Follow our journey in this exciting new industy! At Drive EV, it is our mission to provide accurate and up to date information to electric car owners, enthusiasts and potential owners. Check out this basic start up guide to electric vehicles. 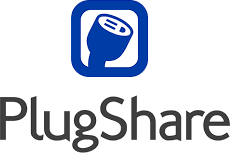 Contact us to schedule a call, Skype or meeting to discuss how an electric car could work for you. Check out this Ecotricity 'Carbon Emissions Footprint' calculator to see how you stack up, and the 'Electric Vehicle Running Costs' calculator to see what you can save. The Nissan Leaf is the most popular model by far in New Zealand and the world! 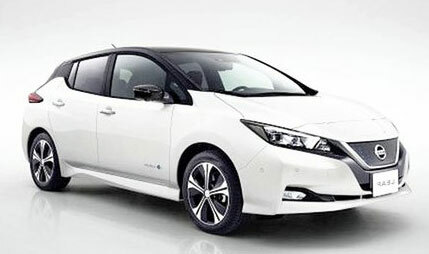 We love the LEAF for its value for money, range per charge and reliability. We stock all versions of the LEAF with 3 levels of trim and 3 technology levels in this shape. The new LEAF is a game changer! Offering sporty styling, practical open road range and exhilarating performance. This car is equipped with state-of-the-art features like Pro-Pilot and e-Pedal. Available from both the UK and Japan in many variations. 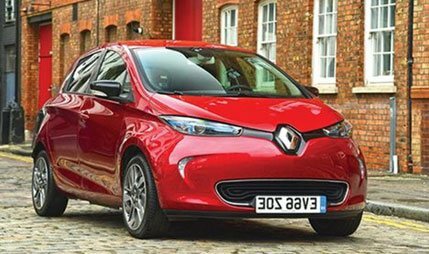 TThe Renault Zoe ZE40 is by far the best range for money you will find in New Zealand, its 41kWh battery offers a real-world range of between 250-300km per charge. The Zoe also has the ability to A/C fast charge at 22kW or 43kW for some models! Also available with New Zealand Maps. 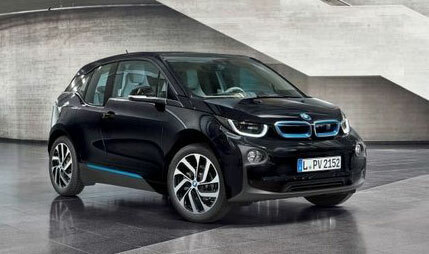 The BMW i3 is extremely advanced, from its carbon-fibre-reinforced polymer upper body to its super modern styling. 2 battery options are available, and the REX model is fitted with a petrol generator that creates electricity with a petrol generator extending the range. 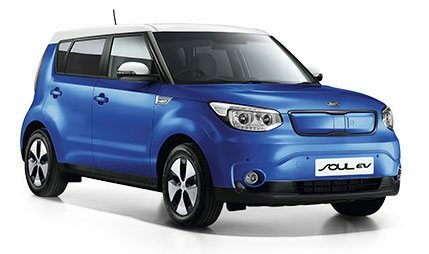 The Kia SOUL EV offers the highest seating in the EV range and has fantastic visibility. The SOUL EV is smooth and quiet on the road and offers an extremely competitive per charge range of 150-180km. The e-Golf is a fantastic option for those looking for a more conventional look with the benefit of better performance and handling that only an electric car can offer. 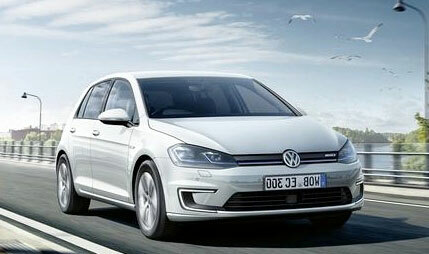 The e-Golf is now available with a larger battery offer over 200km per charge. 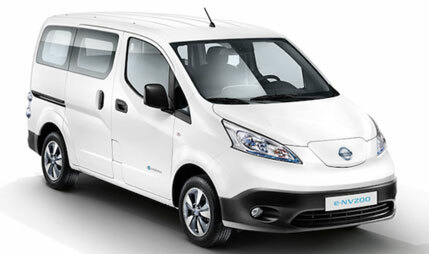 The Nissan e-NV200 in the biggest selling pure electric van in the world. 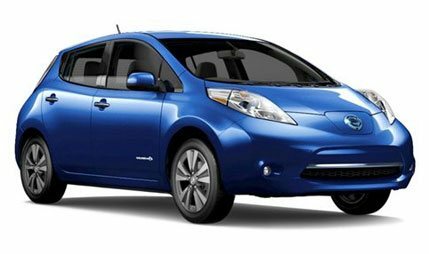 Based on the Nissan LEAF, the reliability, charging options and drive are second to none. Configurations are 2, 5 and 7 seats. Now available with a larger 40kWh battery and over 200km per charge. 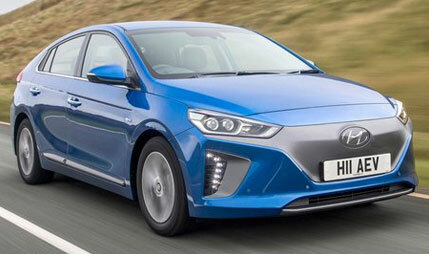 The Hyundai IONIQ offers modern, conventional styling. With a real-world range of 200km per charge, this vehicle is extremely competitive in today’s line up. At Drive EV we offer competitive finance rates for all of our customers at just 9.95%. We are approved UDC Dealers and can offer flexible terms and speedy approvals. To give you additional peace of mind we have tailor made mechanical warranties that are EV specific. These products offer cover not only on the High Voltage battery but all other electric and mechanical equipment. Whether you are a private buyer or purchasing for business additional cover is no problem at all. Please get in touch! We are happy to price your trade whatever drivetrain it has. With many year experience in the motor industry we have the contacts to offer you top dollar for you current vehicle.